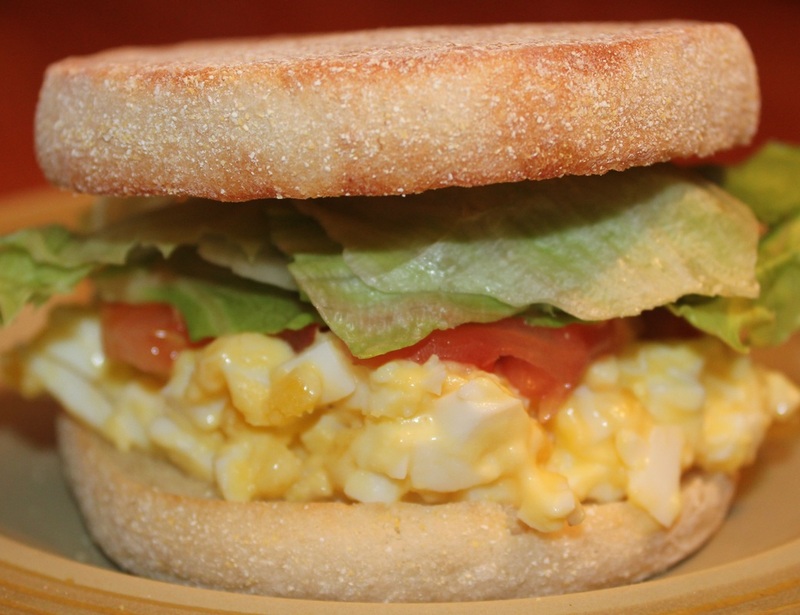 Enjoy these egg muffins for breakfast, brunch or dinner. The key to making these sandwiches perfect is to lightly toast the muffins so they have a slight crunch but are still soft. In a medium sized bowl, lightly but thoroughly mix eggs, mayonnaise and aioli. Layer mixture on one side of muffin, top with tomatoes, lettuce and finally top with the other muffin slice.